A mix of the classic and modern dish. 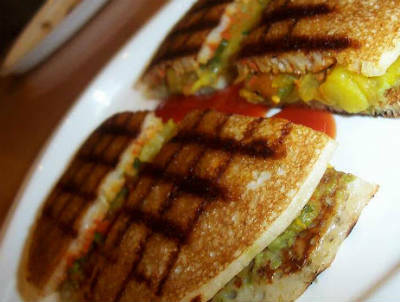 Popular Dosa made into a Sandwich that kids would love. 2. Fry the curry leaves for 20 seconds. 3. Add the potatoes, mixed vegetables, red chilli powder, coriander leaves and salt. 4. Saute well for 5 minutes and remove. 6. Pour a ladleful of the dosa batter and spread evenly. 7. Apply oil around the edges and cook on both sides till done. 8. The dosa should be a little thick unlike the regular ones. 9. Spread some of the potato mixture on one dosa and cover with another. 10. Trim the edges if desired. 12. Kids would love this dish. 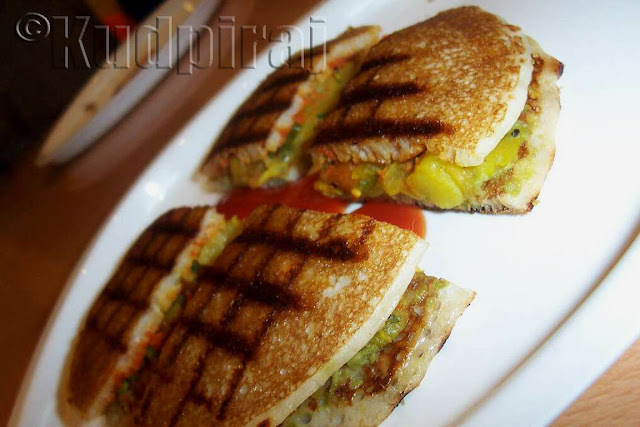 Feel free to comment or share your thoughts on this Dosa Sandwich Recipe from Awesome Cuisine.